The U.S. government granted visas to and resettled in America at least five foreign individuals who were later tied to terrorism, according to the White House, which announced that "hundreds of other foreign nationals" admitted to the country are currently under investigation for terror ties. 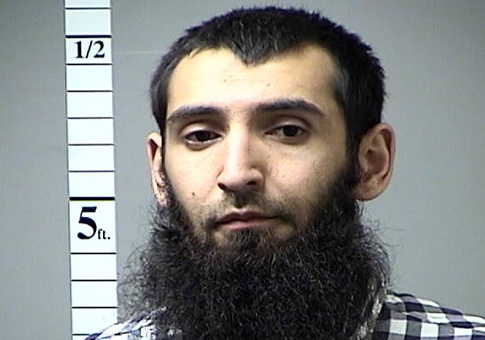 Sayfullo Habibullaevic Saipov, an Uzbek national alleged of committing recent deadly terror attacks in New York City, is just one of several terror-tied foreign nationals who were permitted to resettle in the U.S. as part of the Visa Lottery, which randomly awards green cards to foreigners. The Visa Lottery has become the subject of controversy following multiple reports that foreign nationals granted residence in the U.S. under the program have been tied to domestic terror attacks. The White House offered at least four other examples of Visa Lottery winners suspected of ties to terrorism and disclosed on Tuesday that "hundreds" of other foreign nationals are currently being investigated for potential connections to terrorism. "Just a few days prior to Saipov's attack in New York City, another Uzbek national and Visa Lottery winner, Abdurasul Hasanovich Juraboev, was sentenced to 15 years in prison after pleading guilty to conspiring to provide material support to Islamic State terrorists," according to the White House. In 2009, Syed Hais Ahmed, also a Visa Lottery winner, was convicted of terrorism related activities in the U.S. and elsewhere, according to the White House information, which was provided to reporters as part of a push by the Trump administration to end the lottery program. Trump administration officials remain concerned that those permitted to resettle in the U.S. under the program could legally bring along relatives and family members who may also have ties to terrorism. This entry was posted in National Security and tagged Immigration, Terrorism, Trump Administration. Bookmark the permalink.